Click above for tickets to Taste of Wellesley. Wellesley offers a variety of eateries, from fancy to homey to chains. A slew of Asian restaurants dot the town, from sushi-and-more to Chinese to Thai. Or you can try out Italian eateries, Indian cuisine, Turkish specialties, or an old-timey diner with a Greek flair. And don’t forget those necessities — pizza, ice cream, donuts, and coffee. Wellesley’s got you covered there. 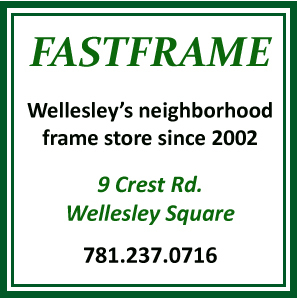 Thanks to the Rotary Club of Wellesley for their sponsorship of our restaurants page. Don’t miss their annual Spring Culinary fundraiser, Taste of Wellesley. Get tickets now for an exquisite evening of food, craft beer and boutique liquor tasting, cash bar, Live Auction, Giving Tree Raffle and silent auction showcasing unique art pieces from the Wellesley Society of Artists. 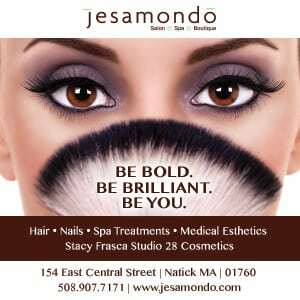 Italian; owned by Michael Schlow, who has made name for himself with several popular Boston restaurants. Spanish wine and tapas bar/restaurant, with seating for 100-plus, including inside and outside. Bagels, sandwiches, soups. Worth noting: Every so often they surprise you with special bagels tied to things like big Patriots football games. We stopped in a this popular ladies-who-lunch spot where every table was taken by noon on a Thursday. But we saw that coming and beat the rush, getting ourselves all settled in at a prime table where we could dine in comfort and watch the comings and goings at this spotless, bustling, eatery that’s been in town for 19 years. Since Mangal specializes in Mediterranean cuisine with a heavy Turkish influence, I had the Turkish Lahmacun, a thin dough spread with ground beef, lamb, tomatoes, onions, peppers, and spices, served with side salad that was crisp, fresh, and not too heavily dressed ($14.50). It looks a little like a burrito, but the lamb, which gives it a touch of gamey-ness, and Mangal’s use of spices puts it culturally worlds apart. There was a little too much fresh parsley for me, but I was able to easily set most of it aside. Other dishes that caught my attention for maybe next time: The Turkish Borek (baked pastry layers filled with feta cheese and parsley); the Yengen sandwich (grilled with Turkish soujouk, tomatoes, kaser cheese on white toast bread); the arugula salad with poached figs and proscuitto di parma. Also on the menu: sandwiches, soups, and salads. Caffe Nero, is a coffee shop-and-more that’s nestled into the old Wellesley Hills railroad station. Seafood restaurant and store. Worth noting: brunch on Sundays. Chinese food. Full bar service. Our take: appetizers of chicken wings, chicken fingers and peking ravioli were all tasty and hot (temperature-wise). Entrees were OK (Shrimp fried rice didn’t have tastiest shrimp). 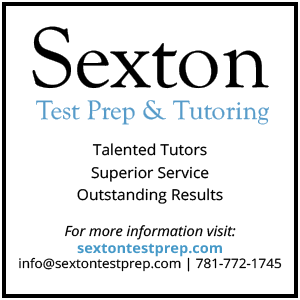 Service was excellent, and the restaurant itself is bright and clean and lively. Watch out for sitting in booths facing the front door on a winter night though — chilly. Raw vegan food, superfood smoothies, and organic juice cleanses, as well as breakfast items, sandwiches, and salads. (More here). Popular for their 16″, $8.25 bargain pizza. The popular Italian eatery also offers signature dishes are called “Messes” and feature a mix of veggies, pasta and more. 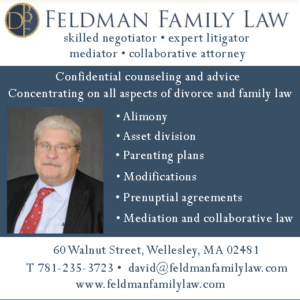 Comella’s has several other locations in surrounding communities, including Newton and Needham. Pizza, salads, wraps, calzones, pasta, and more. Features food with Southern California flair. Full bar service. We visited the restaurant in early 2018 to check out their newly renovated interior and slightly revamped menu. See the full post here.Highlights for us: the fried calamari appetizer and the spice-rubbed hanger steak. CrepeBerry offers a diverse and healthy menu. You can see our review here. This place has a Greek flavor (pictures of Greece on the walls), has about 20 seats, features Tiffany-style lamps and an assortment of foods beyond pizza: salads, calzones, vegetables, etc. Be warned: No credit cards accepted. Wellesley’s second restaurant from the owners of The Cottage opened at the end of 2018, and emphasizes small plates, a raw bar, and craft cocktails. It’s a “chef-driven” eatery whose name, Door No. 7, comes from the fact that this is Laura and John Wolfe’s 7th restaurant. Like the newly renovated Cottage, it is located in Linden Square, though on the south side of the street. Here’s a sneak peek we wrote up about Door No. 7. Fiorella’s opened in March 2019. The fast-casual place was does a brisk take-out business, and customers were also enjoying meals in the dining area, which has six tables and two booths that seat approximately 25 diners. I knew my companions would mock me, and they did, but the kiddy size cup ($3.09) is what I ordered. That’s really all the Oreo Cake Batter ice cream richness I require after dinner. Besides, in the interest of research I naturally needed to try a taste of the Brownie Brownie Batter ($4.69 for two scoops). It was a chocolate-lover’s dream, densely packed with all it promised, and likely impossible to get out of a white t-shirt. The Peach (three scoops for $5.39) was good, but I prefer bigger, firmer chunks of fresh peach in a purer vanilla base. They marinate their peaches in brown sugar giving it a more fall-is-coming look and flavor rather than the summer-is-here attitude I need in July. The seating inside, the bench outside, and the fun fake grass on the walls all encourage customers to graze awhile and indeed, we did. Greek Mediterranean cuisine, from the owner of Needham’s Sweet Basil restaurant. Full bar. Here’s our review. The fun family-owned deli that seats 31, including 2 handicapped-accessible spots, has a ton of variety on the menu (from sandwiches — cheesesteak is yummy — to smoothies to soup) and can be a real madhouse at lunch, though the staff does a great job juggling it all. There was plenty of friendly, efficient staff on hand to take our order of a toasted meatball sub with cheese and a bacon, lettuce, and tomato sub, no mayo. Both items came as ordered, and we were moved along smoothly to the cashier, and then to what was, at the time we went in (12:30, weekday, school cancelled due to snow day), plenty of seating to choose from. The meatball sub was hot with plenty of cheese in the proper state of melt, and a nice tomato sauce. My companion reported that the BLT came with lots of bacon, tomatoes that are about as good as they can be in the middle of the winter, and crisp lettuce. They renovated a couple of years ago, and the white subway tile backsplashes and the crisply painted grey, white, and bright blue accent walls give it a clean feel. The gleaming stainless steel appliances let you know that the owners made their wish for more modern food storage a reality. Look for the university pennants and other homey touches. The cafeteria dining room is the hub of activity at the publicly funded community college that serves about 8,000 students at its Wellesley, Framingham, and Ashland locations. They’ve got a good hot bar that changes daily with offerings from Indian, to Italian, to Asian. Classic breakfast and lunch diner, with Greek flair. 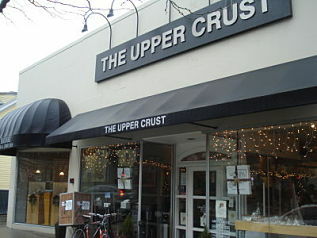 Their pizza crust is neither thick nor crispy-thin, and they don’t skimp on the mozzarella or the slice size. My bowl of minestrone, however was a disappointing bland collection of mushy pasta, a few cannellini beans, and some canned tomatoes floating about in an unseasoned broth. That’s what I get for ordering soup at a pizza parlor, I suppose. Breakfast, lunch & dinner, plus catering. Cash/checks, ATM inside. Hand-thrown Neopolitan-style pizza ($10.99 for a 16″ pie); salads; fresh, never frozen, burgers; Boar’s Head meat sandwiches; house-made meatballs, chicken and veal cutlets; chicken salad; spinach and artichoke rangoons; and grilled veggie wraps. They’ve also brought their Natick location’s #1 best seller, the buffalo chicken wrap, across the border. Seating for eight. Serves cold-pressed juices, healthy freezes. Our post about Pressed Juicery’s opening. Baked goods, including muffins and breads. High-end city steakhouse, goes suburban for the first time. We tried it out for lunch on a snowy day. Wellesley Public Schools were closed. Three other nearby restaurants were closed. Smith & Wollensky was open for business, so respect for that. I had the Caesar salad with grilled scallops. It was a little heavy on the dressing, but the scallops were fantastic, done just right meaning the littlest bit undercooked in the center. There’s nothing worse than overdone scallops, so I appreciate a steakhouse that gets their seafood right. At $30 it clocked in as a pretty expensive salad, so just know that going into Smith & Wollensky. The place is never going to make it onto a cheap eats list. 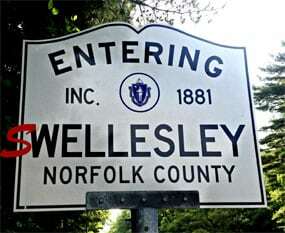 With 41k+ locations in over 100 countries, it’s no wonder Wellesley didn’t want to be left out. You don’t need me to tell you that they can put together a decent tuna melt. Salads, warm bowls, lots of kale. Our Sweetgreen review. Italian specialties, including lunch and breakfast offerings. Serving ice cream and yogurt, including soft serve, since 1992. When we want New Haven-style pizza without the two-hour drive, we come here for our dose of thin crust pizza in a city atmosphere. I stopped in for their $7.25 salad and slice combo, but was disappointed that they didn’t have their slice of the month available for me — a delicious-sounding white bean, spinach, roasted red pepper, and garlic creation. They offered to make it up special for me, but I didn’t have the patience to wait the 10 minutes, so oh well. I was there for a late lunch (2pm), so I suppose the regular lunch vultures, I mean crowd, had cleaned them out. I was happy enough with my thin-crust slice of cheese pizza and the Greek salad component of their combo special. Plenty of feta in the salad, and nice crisp greens. This 12-seat cafe serves baked goods (croissants, cookies, muffins, scones), soups, sandwiches, wraps, and salads. It’s cash or check only here, so be prepared. I ordered the 1/2 sandwich and soup combination for $6.95. The generously sized 1/2 portion of chicken tarragon on French bread had the right touch mayo and tarragon. The tomato soup was served hot and chunky, but didn’t taste much like tomato for some reason. The star of the meal was dessert, a shortbread heart cookie with red raspberry jam filling. So good, and worth every calorie. Everything is paper plates and plastic utensils here, strictly a quick place to grab a bite or get take-out. Paintings for beauty and for sale from local artists decorated the cheerful yellow walls. Our family enjoyed a broccoli & chicken calzone served hot and fresh, buffalo chicken wings and a garlic and cheese pizza. The staff was friendly and accommodating. We sat at one of the four tables near the front door, so was a bit chilly. Decor is pretty modest, mainly consisting of posters of food. There’s a flat screen TV and the prices are reasonable. Breakfast and lunch, with salads, subs, etc. Motto is: A place where you can meet anybody. The 26,000 square foot grocery store is big with those looking for natural and organic foods. Its prepared foods section offers a salad bar and a hot and cold prepared foods bar. You can also get sandwiches and pizza, and for dessert, gelato or kefir. There are always three or four kettles of soup as well. Seating is available near the check-out area at the front of the store. There is also outdoor seating in the summer. We like stopping in for breakfast for a container of piping-hot steel-cut oatmeal, but there are plenty of other items on offer. The warming trays have breakfast sandwiches wrapped and ready, and the coffee bar employees are there to tend to your caffeine needs. We’ve also tried the egg and cheese on a croissant and grabbed a Stonyfield smoothie from the refrigerated wall rack. The breakfast sandwich was warm and obviously hadn’t been sitting there forever, and smoothies are always good. We went in for lunch and ordered the Sushi Special, which is one tuna roll and six pieces of assorted sushi. The $10.50 special includes miso soup and salad. We also ordered some edamame for good measure. The service was excellent and the sushi was beautifully fresh. Other things on the lunch menu: Bento boxes (beef teriyaki; seafood tempura; vegetable tempura, and more); noodle specials (udon; raman; soba. All with a choice of protein and/or veggies. There are also combo options and a selection of ice cream desserts or fried banana. The space also has a sushi bar and and area for large groups. Yama is BYOB place, which is becoming more of a rarity ever since Wellesley loosened up its liquor licensing laws.